You don't have to chase your wellness goals alone. Join a community of more than 700 San Diegans that are committed to ​recharging their health and wellness. Sign up as individual or participate as a team with friends, family or co-workers. the Get Fit 30-Day Challenge! 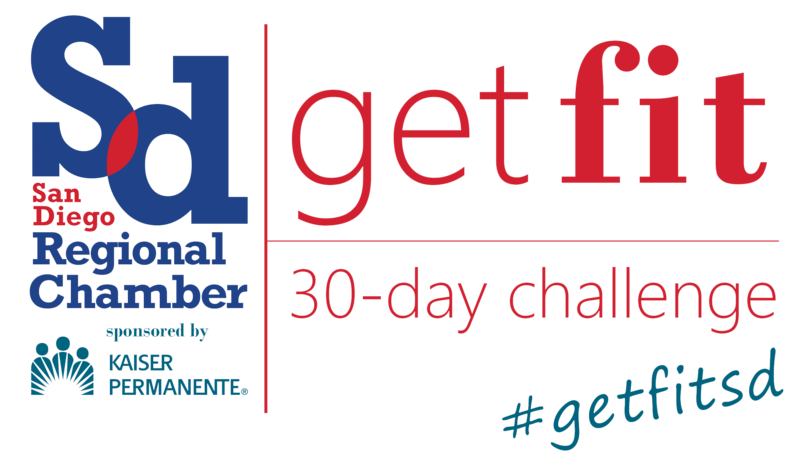 The Chamber’s annual Get Fit 30-Day Challenge is back and begins January 14, 2019! 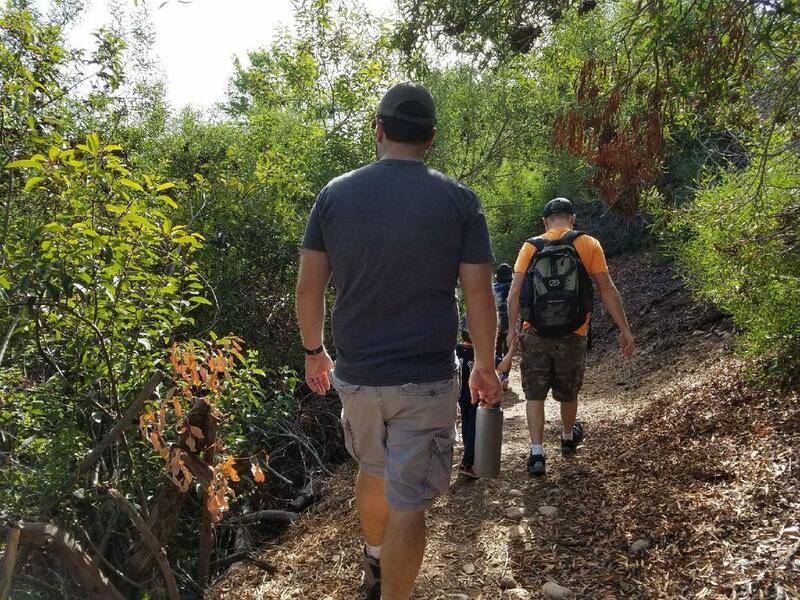 The Challenge, sponsored by Kaiser Permanente, is fun and friendly fitness competition designed to help you become more active and healthy for 30 days so that you can continue long after to maintain a healthy lifestyle. Futhermore, all Get Fit Challengers have access to the online Daily Endorphin mobile app and website, where fitness and nutrition activities can be tracked 24/7. Don't forgot to link your smartphone or FitBit to track your steps! The Challenge is open to individuals and teams, participation is completely free, and you do not need to be a Chamber member to participate. Everyone is welcome to take part in the Challenge. Prizes will be awarded to the individuals and teams in each division who earn the most points at the end of the 30 days. Now’s the time to sign-up! Gather your co-workers, friends and family and register as an individual or a team. Remember, the Challenge starts January 14, so register now and be ready to focus on fitness in 2019. Participants compete by logging fitness, wellness and nutrition activities onto the Get Fit Dashboard. 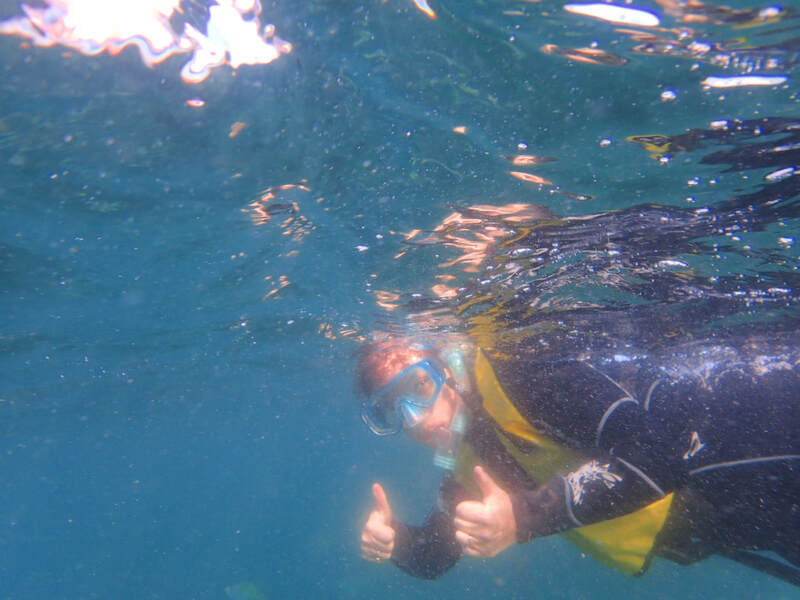 Each activity earns points. The teams and individuals with the highest amount of points wins the Challenge. 1. Choose a team captain and form a team of 5-10 individuals. 2. All team captains and individuals must register using the sign-up form below. 3. Confirm your email address. 4. Participants will receive a welcome email within 24-48 hours with instructions on how to activate their fitness dashboard and sign up the rest of their team. 5. Expect to receive weekly emails beginning January 14 with challenges and activities that encourage a healthier lifestyle for the next 30 days and beyond. Prizes will be awarded to the individuals and teams that log the most activity during the Challenge. The 30-Day Challenge, sponsored by Kaiser Permanente, runs from January 14 – February 12, 2019. Please be sure to include all names and email addresses for all participants on a team. If you don't have all the details, forward the activation email and PDF you receive from Daily Endorphin. Individuals don't need to include a team name, please use "Individual". Registration for Get Fit 2019 is now closed. Our goal for Southern California is simple—help communities thrive with care and coverage, together. For more than 70 years, we’ve worked to nurture healthy Southern California living and improve the health of our members any way we can. We are dedicated to total health of body, mind, and spirit, and we pursue efforts that broaden access to the highest quality care for people when they need it. We believe all of us deserve to live healthy lives in our homes, our workplaces, and our neighborhoods. That’s why, for more than 65 years, we have worked to improve the health of our members and the communities we serve.